Remember your one stop auction Company. From setup to getting the most for your returns . Call today !!! Like us on Facebook too ! 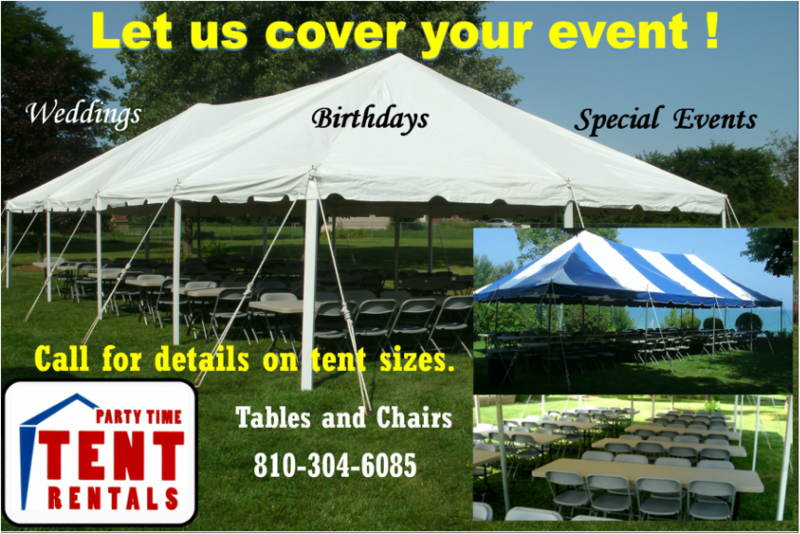 Party Time Tent Rentals is the thumb areas finest tent rental company. Family owned and operated, we are striving to keep industry standards high and we are committed to providing excellence, quality, and customer satisfaction. Whether you need us for your graduation, corporate event, birthday, wedding, or other events, our professionals will guide you through the entire process. With our selection of tents, tables and chairs, we strive to make your event a success and our knowledge and professionalism are second to none. Call Greg now to book your date. Thank you!